The difference between these popular iced coffee drinks comes down to milk or water. While both start with rich shots of espresso, with an Iced Latte your barista adds cold milk to the espresso, then ice. 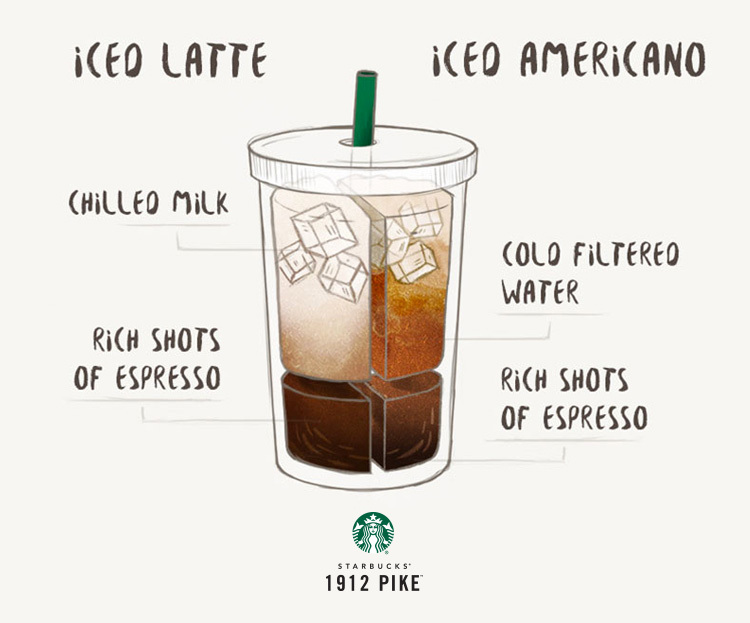 For an Iced Americano your barista adds cold water to the espresso, then ice. As a result an Iced Latte is sweeter and creamier, and an Iced Americano is bolder, highlighting the nuances of the coffee. It’s rumored that the term “Americano” came about when American soldiers stationed in Italy during World War II would dilute the local espresso with water to make it more like the coffee from home.